Six Italian seismologists were previously given six years sentences for manslaughter for failing to predict earthquakes. An appeals court has now cleared them. Local citizens are angry with the decision. This is what happens when socialists control your educational system for many years. Six seismologists accused of misleading the public about the risk of an earthquake in Italy were cleared of manslaughter on 10 November. An appeals court overturned their six-year prison sentences and reduced to two years the sentence for a government official who had been convicted with them. 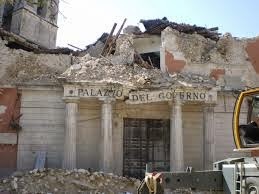 The magnitude-6.3 earthquake struck the historic town of L’Aquila in the early hours of 6 April 2009, killing more than 300 people. The finding by a three-judge appeals court prompted many L’Aquila citizens who were waiting outside the courtroom to react with rage, shouting “shame” and saying that the Italian state had just acquitted itself, local media reported. But it comes as a relief to scientists around the world who had been following the unprecedented case with alarm.